The Coton De Tulear temperament is affectionate and smart. And as you read on I think you will agree with me. The Coton De Tulear, or Coton for short, gets the first part of its name from their cottonlike coat (‘Coton’ is cotton in French). And we have the Madagascar seaport of Tulear the dog's origin to thank for the second part Coton's name. The Coton is related to the Maltese and Bichon Frise. There are several theories about how the Coton De Tulear came to be. One theory is the Coton De Tulear dog was bred to accompany women on long sea voyages. Another theory says this breed was bred to be used as ratters aboard ships. As to how they got to Madagascar, a final theory is the Coton was the sole survivor of a shipwreck in Madagascar. No matter how they arrived, the Coton De Tulear soon became a favorite of the royal court and wealthy households in Madagascar. They were brought to the United States during the 1970s. The Coton De Tulear dog is best known for their undying love for their humans. Whether you’re lounging around watching Netflix, shuffling between rooms or taking a drive, the Coton will be with you every step of the way. Coton De Tulear dogs are extremely intelligent. They are an observant breed who learns quickly and can adapt to their owner's needs. 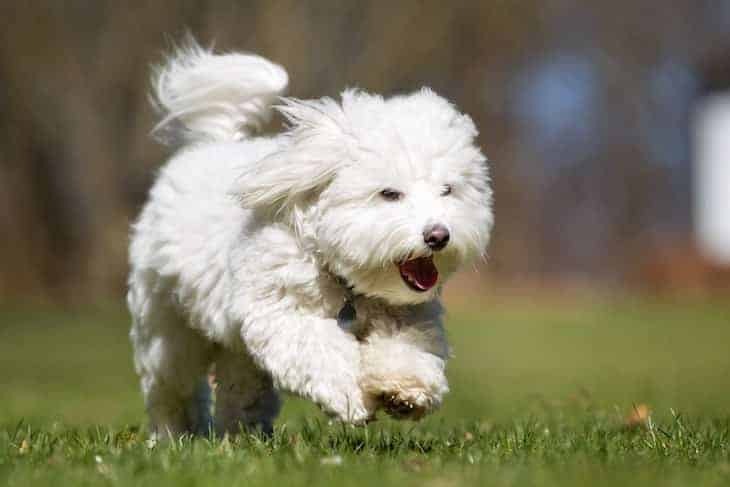 The Coton De Tulear is a boisterous and happy breed. They are true people-pleasers and are happiest spending time with their humans. Cotons have a cheerful, sweet personality that makes them wonderful therapy dogs. Because they are so people-oriented, they tend to form a strong bond with their family and do not like to be separated from them. Cotons love to have fun. They often play “the clown” for attention. In fact, one of their most endearing qualities is their tendency to jump up and walk on their back legs. This is a breed that may bark once or twice when the doorbell rings, but they are not obsessive barkers. Don’t expect a Coton to be a guard dog. The only thing intruders would have to look out for is being licked to death! Thanks to their sociable nature, Coton De Tulear dogs get along well with other dogs and cats as well as children. However, because of their small size, it is best to bring a Coton De Tulear into a home with older children as young, small children may unintentionally play too rough. A fun fact about this breed? Female Coton’s tend to be more independent than their male counterparts. Though they love to please their humans, Coton De Tulear’s can be stubborn. When training a Coton De Tulear, use lots of praise, treats, and positive reinforcement. Cotons do not do well with harsh training methods. Like many other small breeds, Cotons may be difficult to housetrain. But, with a set schedule and regular bathroom breaks, the Coton De Tulear should pick up housetraining quickly. Make sure to socialize your Coton De Tulear puppy. Expose your Coton puppy to a lot of different sights, people, sounds, and experiences. Early socialization will help your Coton De Tulear grow up to be a happy, well-adjusted adult. Mundane training sessions bore Coton De Tulears. Keep sessions entertaining, short, and lively. Because of their high intelligence, Coton’s will excel in agility or obedience classes. If you have decided to add a Coton De Tulear puppy to your family – congratulations! The Coton De Tulear is truly an amazing family dog. You have several options when it comes to finding the perfect Coton De Tulear puppy, you can either purchase one from a breeder or adopt one from a rescue organization. According to the American Coton Club, Coton De Tulear puppies for sale will cost between $2,000 and $4,000. Reputable Coton De Tulears breeders will cost between $2,000 and $3,000, while the Coton De Tulear price for show or “breedable quality” puppies can range between $3,000 and $4,000. The price of a Coton De Tulear for sale depends on the location of the breeder, how reputable the breeder is and litter size, among other factors. Coton De Tulear adoption, though not as common as other breeds, does exist. Due to the increasing popularity of this breed, Coton De Tulear rescues are popping up everywhere. For example, some Cotons may need to be rehomed after retiring from a breeding program. Some rescued Coton De Tulears may have special needs or medical issues that will require a special home. 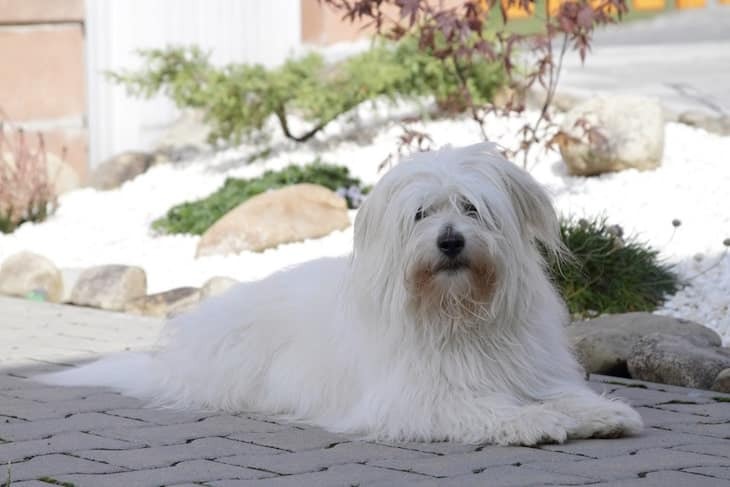 The Coton De Tulear cost for adoption depends on where you adopt your Coton from as well as location. Adopting from a local city shelter will typically be lower cost while rescuing from a dedicated Coton organization will be more expensive. Here are guidelines for conducting a Coton De Tulear temperament test when adopting from a shelter. When researching Coton De Tulear breeders, there are several factors to keep in mind. Are they reputable? Does it look like they treat their Cotons properly? Try to choose a breeder within driving distance so you can visit them in person. When did you start breeding Coton De Tulears? How did you get into breeding Cotons? Do you have health guarantees? How do you socialize your Coton puppies? Do you test their temperament? Feel free to ask any other questions you feel necessary! A good breeder will be willing and able to answer any question you throw their way. Not only should you ask questions, but the breeder should ask you questions as well to determine if you are ready to add a Coton De Tulear to your family! Coton De Tulears do well in most environments thanks to their agreeable nature and small size. Weighing around 8 to 13 pounds and standing at just around 8 inches, Cotons make great apartment dogs. Coton De Tulear grooming is quite easy – especially if they learn as puppies to associate it as bonding time. You can keep your Coton De Tulear in a “puppy cut” or let their hair grow. If you don’t keep their fur short, they do require daily brushing. This breed rarely sheds – perfect for dog lovers suffering from allergies. The Coton De Tulear is a fairly healthy breed. Their lifespan is between 14-16 years. 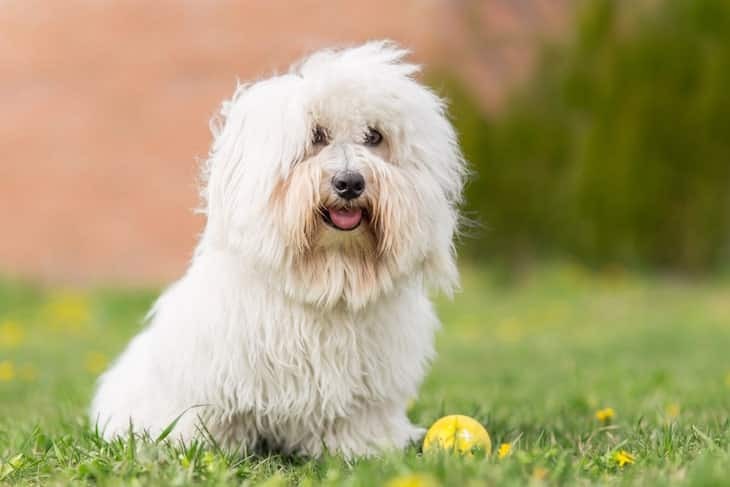 While they – like any other breed – are prone to certain health issues, the Coton De Tulear has quite a low percentage of genetic health issues. Like other small breeds, Cotons are prone to Luxating Patellas, were the knee will slip in and out of place. This breed is also prone to Hip Dysplasia and Progressive Retinal Atrophy (or PRA). The Coton De Tulear is a happy-go-lucky breed with an infectious personality. They are delightful family pets who get along great with other dogs, cats, and children. Coton De Tulear’s can be a bit stubborn when it comes to training, but with consistent and positive sessions, your Coton will pick it up in no time. And, their small size makes them perfect apartment dogs. Expect lots of fun and lots of laughs from the Coton De Tulear temperament when you add one to your family!